This year is our centenary and our Annual General Meeting will return to Glasgow where we were formed in July 1918. This will be no boring AGM that could be prescribed for insomnia. In fact we hope the very opposite and you will return to your businesses energised and full of ideas to help progress your business to a new level. Because of the anticipated high demand on places we are giving members as much notice as possible. We would therefore like to give you an early invitation to attend our centenary celebrations to be held in the Grand Central Hotel, 99 Gordon Street, Glasgow, G1 3SF on Sunday 18th November. We have lined up some really interesting and inspiring speakers details of whom are in the enclosed booklet. 4. Speaker: Pat Whelan, Clonmel, Ireland. Afternoon will conclude by 4.00pm and be followed by a wine reception hosted by City of Glasgow Council. 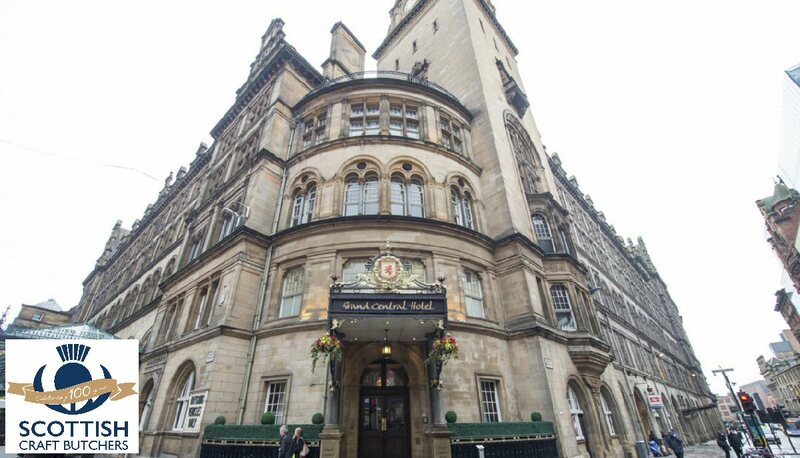 The hotel is situated at Glasgow Central Station so for many it will be simpler travelling by train. I hope that you will be able to attend and will take this opportunity to meet up with Scottish Federation members, industry colleagues and old acquaintances. RSVP on the attached form. We advise reserving your place/s early since we are in the unusual position of having to be aware of the maximum capacity for the venue even though it is 200! We do hope that you will feel that you would like to attend this somewhat unique event. Edwards of Conwy is a traditional Welsh, British and European award-winning Master Butcher, Sausage and Pie maker located in the historic World Heritage town of Conwy, North Wales. They and are proud to have been thrice crowned “Best Butchers Shop in Wales” and even stole the UK wide title back in 2014. Ieuan Edwards, a farmer’s son from the Conwy valley, served his apprenticeship in the market town of Llanrwst, before successfully completing courses in both Switzerland and Holland. Ieuan opened his butchers shop at the tender age of 20 and has since founded a sister company who operate under the same brand, specialising in supplying major UK supermarkets, Export and Foodservice. Edwards of Conwy’s success is built on a commitment to provide customers with the highest quality Welsh meat using as many traditional methods and recipes as possible. This ethos has served them well as both parts of the company have expanded rapidly in recent years, leading to the acquisition of a third production space and ambitious growth plans to expand their main commercial production site further still, this will act as a catalyst to the rapid addition of new product lines to their range. The company, which now employs more than 85 people and supplies major UK supermarkets (as well as selling directly to consumers via its high street shop and e-commerce portal) have invested heavily in marketing their business over recent years, believing that telling “The Story of Edwards” is key to their success, with recent market research demonstrating that Edwards are now the number one premium sausage brand in Wales. A typical campaign will now utilize combined social media marketing, a bilingual TV advert, bus and billboard advertising, digital advertising as well as traditional media relations, that being said Ieuan is the first to admit there is no better substitute than honest feedback from the companies most longstanding and loyal customers: “Our shop is the perfect test market for new products, we trial all of our new recipes there as customers are very open when having chat over the counter, they’ll soon let us know if something not right”. The Farm Shop and Barn Café is supplied with the majority of its beef and pork comes from their own farm, where a herd of cattle includes well-bred Angus, Hereford, Simmental, Belgian Blue and Limousin. Edward’s sister, Mary, and her husband Matthew take care of 400 acres of farm land, growing wheat, barley, maize and a range of vegetables which you can pick up in the Farm Shop’s Greengrocery. They also work with other great local farmers to ensure a consistent quality of locally reared meat. 7000 customers per week visit Blacker Hall and Ed and his team spend lots of time over the numbers. Ed has a very strong outlook on business development. He has been quoted as saying that small businesses are guilty of having people in middle roles who get away with not being flexible when you try to change things. You may have dragged people away from their areas of strength. Different roles might work out but if not then that needs to be addressed. Ed believes that if we are not careful we will be fighting for the scraps that the big guys don`t want. We need to operate to our strengths, the service and passion that we deliver or we will be left with the scraps. We can look forward to a truly inspirational talk from Ed. Born into a farming family in 1967, Simon has been working in the food and drink industry since he opened his own shop in Dunning in 1986 aged 19. He was encouraged by his father to learn a trade and he got him a job in a large butcher’s shop in Perth when he was just 12. He now owns that shop and another one in Auchterarder. Howie decided the butchery business needed to move from being shop orientated to moving into factory premises and in 1994 bought the farm where he is now based and built a small factory. Getting into supermarkets was the big watershed for him. The breakthrough came in 1999 when he was invited to supply Sainsbury’s with haggis. That progressed into using the Simon Howie brand within the Sainsbury’s supermarkets for over-the-counter butchery sales. By 2001 Howie products were also in Safeway stores – later Morrisons – and after that it was taken up by Tesco and Asda. 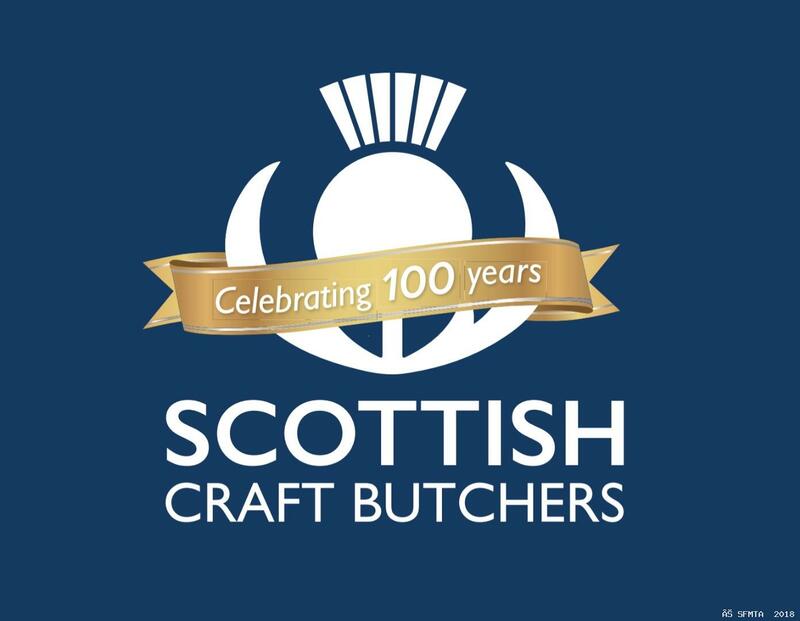 Simon Howie is a trained butcher by trade, the company he is best known for under his own name supplies meat to supermarkets across the UK and also upmarket hotels like Gleneagles. 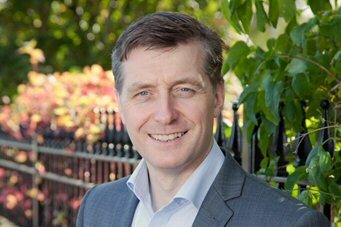 But his business interests have expanded into property, laminates and renewable energy companies as part of the Simon Howie Group and cargo handling for land transport business, Calport. Today Simon still plays accordion with his band - Simon Howie Dance Band- which he founded at 14, but it is for pleasure rather than profit. Simon is a family man with wife, son Ross and daughter Lynne. 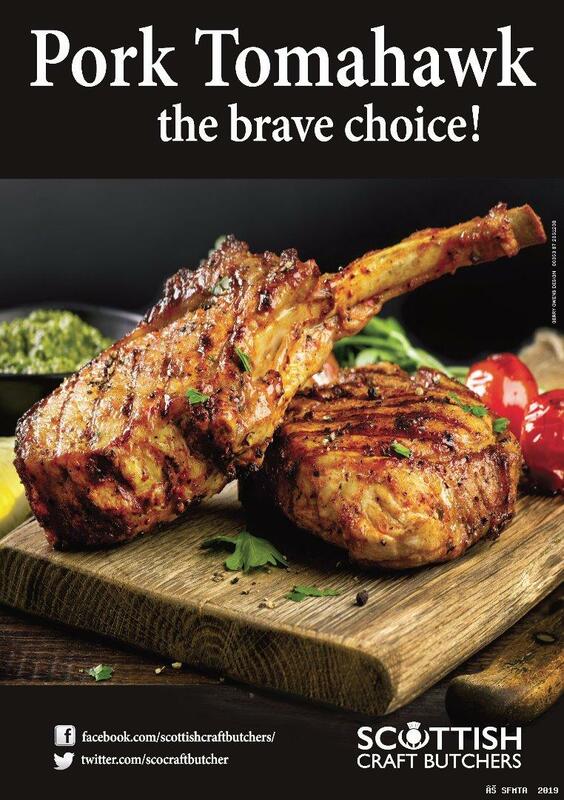 Pat is a 5th generation butcher, cook book author and the director of James Whelan Butchers with shops in Clonmel, the Avoca Rathcoole and Kilmacanogue, Dunnes Stores Cornelscourt, Rathmines and Swords in Dublin. 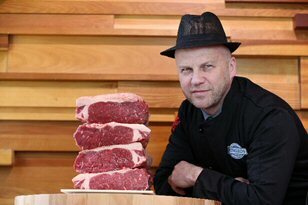 Pat Whelan is a food artisan and the most respected meat retailer on the island of Ireland. His shop, James Whelan Butchers, in Clonmel, County Tipperary has been in business since 1960. The current shop, in a strip mall adjacent to a major supermarket, was opened in the 1970s. The location was appealing because it had ample parking. When asked why he became a butcher, Pat answers, “It’s part of my DNA. It seemed natural for me to do. It’s was never a question of doing anything else.” He took over the business, James Whelan Butchers, in the late 1990s, when the butcher shop set up by his parents three decades earlier employed just four people in one Clonmel store. Pats’ vision is for James Whelan Butchers to become a legacy brand and he partnered with Dunnes Stores with that in mind since they have a real estate that spans the country. Climate Change Bill Threatens Disaster for Scottish Livestock Sector.